“Four stars from Michael Jackson – the world-classic ‘Black’ Beer. A brewing wonder and a beer lover’s dream! Kulmbacher “black beer” is the classic and best example of this famous style. Supremely drinkable, dry and beautifully hopped, yet loaded with dark roasted malt flavor. Known locally as “the black Pils” because it is unusually dry for a dark lager, it is the essential companion to the meaty regional specialties of Kulmbach, Germany. But whether you are a confirmed vegetarian or an unrepentant carnivore, this is a beer to be enjoyed with any hearty meal. Its exquisite balance is a remarkable brewing achievement and an enduring mystery — how can such a dark, rich flavored brew be so light and easy to drink? 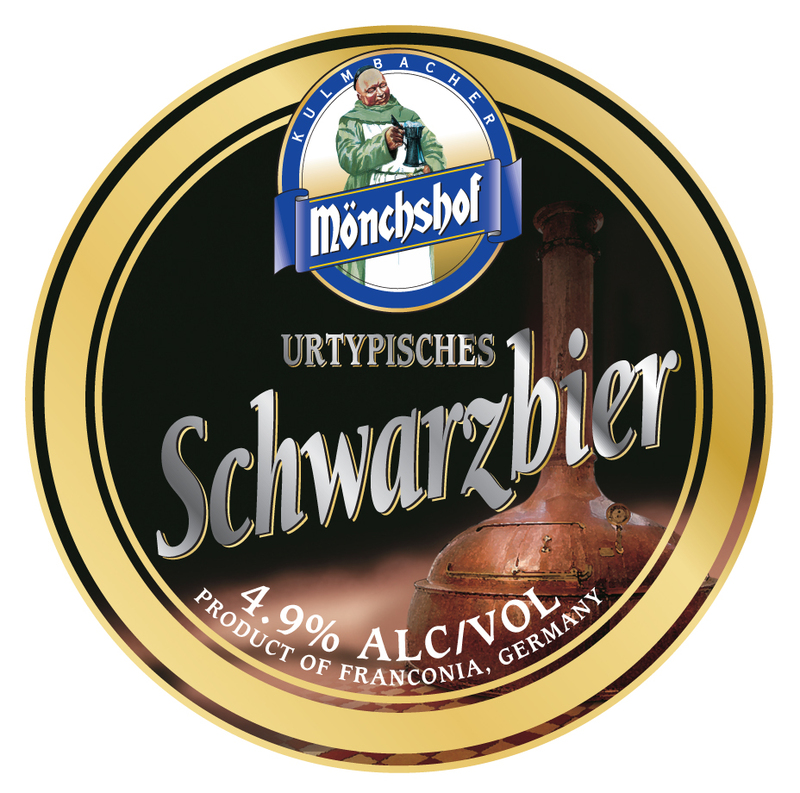 With an irresistible, flowery hop bitterness that sets it apart from all others, Mönchshof Schwarzbier is relatively light in body – but bursting with character. Its dark, roasted, slightly chocolatey and warming palate is astounding for such a refreshing and drinkable beer. The hearty taste and seductive burt sienna color come from the deep-roasted barley used in every batch.